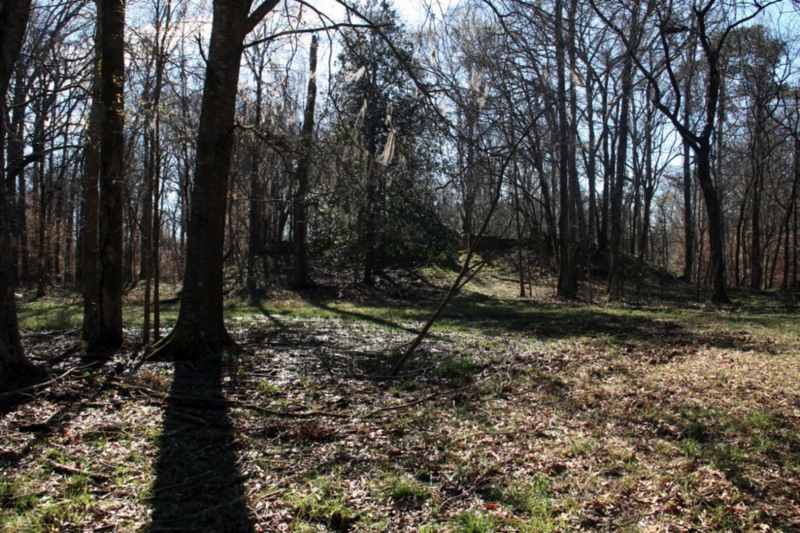 The Windsor Mounds are located just over half a mile north of a better-known Mississippi tourist destination, the ruins of Windsor Castle, an antebellum mansion that burned to the ground during a party in 1890 (also well worth a visit!). The adjacent mound site includes four Indian mounds overlooking a tributary of Bayou Pierre. Mound A is the best preserved and the only one visible from the road. It is also the largest at over 30 feet in height; the other mounds range in height from three to 15 feet. Windsor is also the location of the earliest known colonial settlement in the region. In the 1790s, Colonel "Pedro" Bruin, one of three territorial judges of the United States' newly acquired Mississippi Territory, lived in a house atop Mound A and kept a barn on one of the other mounds. The mounds themselves were built by Native American inhabitants of the region several centuries before Colonel Bruin arrived. Archaeologists have determined that the mounds were built beginning in the late Coles Creek Period and continuing through the Plaquemine Period, between about AD 1100 and 1600. Professional excavations carried out on Mound A in 1971 found evidence of a Plaquemine Period occupation, as well as a late 18th century cellar related to Colonel Bruin's residence on top of the mound. Archaeologists returned to Windsor in 2013 to investigate the other mounds. They located evidence for Plaquemine Period buildings on the summit of Mound B, as well as pottery, stone artifacts and animal bones. The wooden buildings on top of Mounds A and B may have been either temples or the residences of important Native American leaders, both of which are found on platform mounds of this period. The functions of Mounds C and D remain unknown. 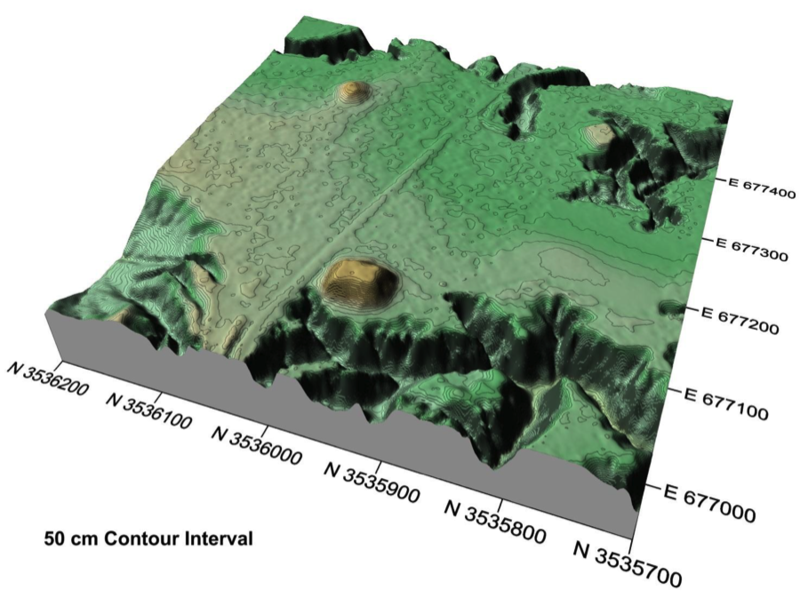 While archaeologists confirmed the location of Mound D in 2013, it has been damaged by cultivation and is now visible only as a small rise on the landscape. Mound C has not been excavated. It is the location of a cemetery where members of the Freeland and Daniell families of Windsor Plantation are interred. Windsor is indeed a special place, and figures importantly in Mississippi's Native American, early colonial, and antebellum history. In recognition of its outstanding significance, Windsor Mounds was listed on the National Register of Historic Places in 1978.